I recently participated in a seminar arranged by Innovation Norway at the Norwegian embassy in Helsinki. 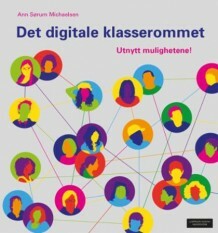 Smart teaching and learning the use of ed-tech in Norway. To start off the seminar they had invited Ole Lauridsen mag.art. (≈ PhD), Center for Teaching and Learning, BSS, Aarhus University, Denmark. The topic; why blended learning goes well with brain research. 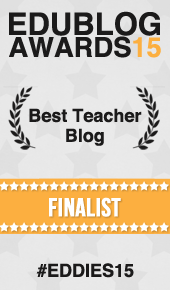 As an advocate for the use of technology in the classroom, this topic was of great interest to me. I will try to explain some of the major points here. Blended learning is a technology-enhanced mix of face-to-face teaching and online activities between classes and it has been put high on the agenda of the Horizon Report for the last couple of years. Short-term key trend alongside collaborative learning. I have had the pleasure of contributing to many Horizon Reports and I follow the trends they predict here with great interest. More structured learning, all the material can be available online for students when they are absent. Better chances for (informal and just-in-time) communication with the individual students; an easy way to interact with your students using messages, chat, discussion boards, etc. But first and foremost: In many respects, a well structured blended learning supports the way the brain learns. Learning is biology. When we learn our brain creates new neural networks/changes existing network. When we learn we take in the sensory input through our sense of sight, our sense of hearing and our sense of touch. The various inputs get form and a general meaning at the back of the brain. All individual elements of what we have seen, heard and touched, respectively, are gathered in one whole ‘experience’. In the next step, this ‘experience’ is interpreted on the basis of our existing knowledge and emotions are attributed to the ‘experience’. We always connect new information to something we know – for better or for worse. We always attach emotions to the information we take in. This means that everybody has his/her fully individual view of what s/he is taught. There are other important differences between individuals that make the learning process and outcome different from person to person. From the back of the brain, the interpreted and emotionally charged ‘experience’ reaches the front part of the brain. We reflect we evaluate, we plan, we consider the impact of our planning, etc. We store what is needed in the long-term memory. How does this connect with blended learning? With blended learning, teachers can offer support, active learning and feedback on a more regular and immediate schedule. More sensory channels are catered for since blended learning gives the student a chance to repeat as often as they want to. If the student makes the choices it will help the student with attention and concentration as the student can choose when and for how long to work on the topics. The whole format of blended learning is based on the students’ involvement and participation. Wikis, blogs, Office 365 sharing, discussions using Skype and Google hangout, gives an extra dimension to the learning process, which is in sync with the way the brain learns. ways of handing in assignments etc. Basically, the brain learns in one and only one way: through repetition. The blended learning concept lets the student go back to previous lectures/activities as much as needed. In this process, the students can follow the pace that suits them best. Make short videos (7-8 minutes) or voice-over presentations for the students to go back to when needed. When working on this topic it seems clear to me that all the elements listed here are useful when structuring lesson plans for your students. In a structured blended environment, you need to carefully include all elements listed here. The more choices the students feel comfortable making, the more relevance the learning will be for them. To me, it makes perfect sense.